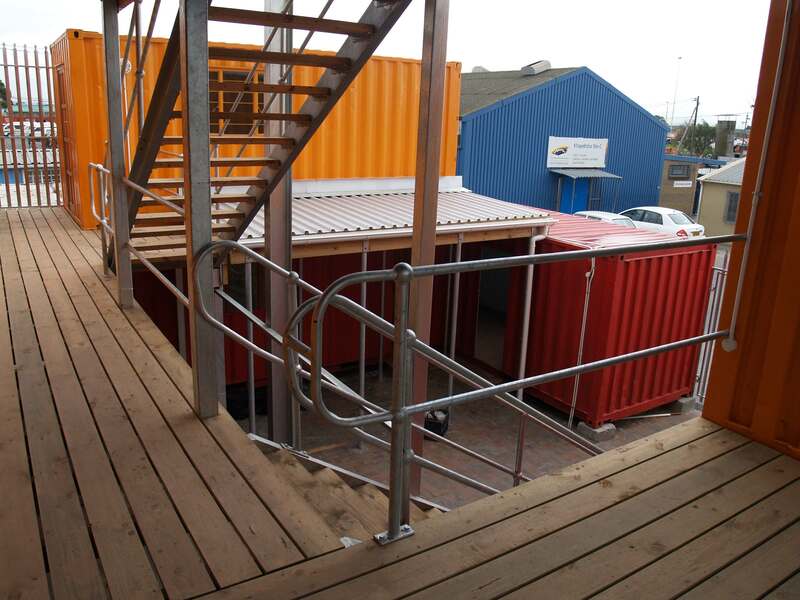 In 2009 we were approached by an NGO, Violence Protection Though Urban Upgrading (VPUU), to build a 3-story container office block at site C Taxi Rank in Khayelitsha. There was a need for office space as well as security in this community and the proposed 3-story office block answered this need. 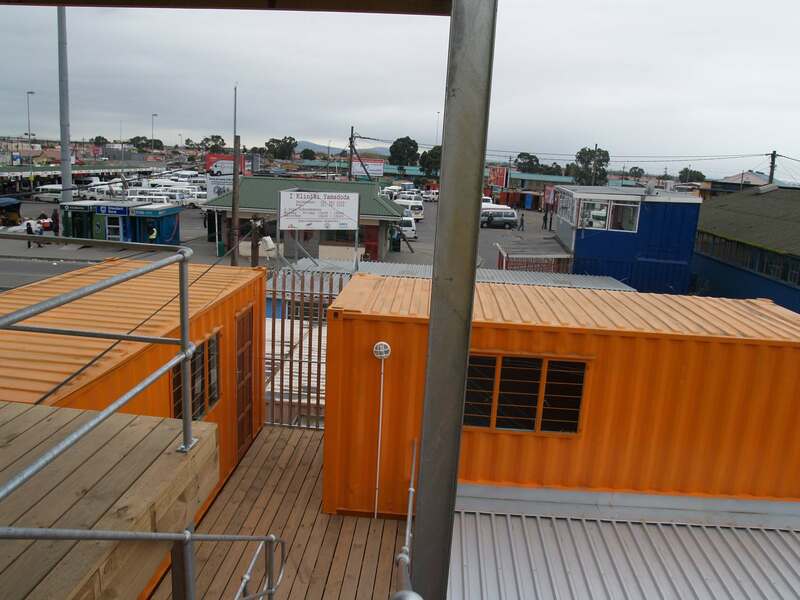 The container on the top story had a look out deck which was to keep watch over the taxi rank. Other two stories were for office space which was to be rented to the local community as there was a lack of office space at the time. The floors were joined by external staircases and to get to the individual offices there was a walk way on each floor. We offered VPUU a turn key solution and partnered with a local construction company to do all the building work (foundations and brick paving). 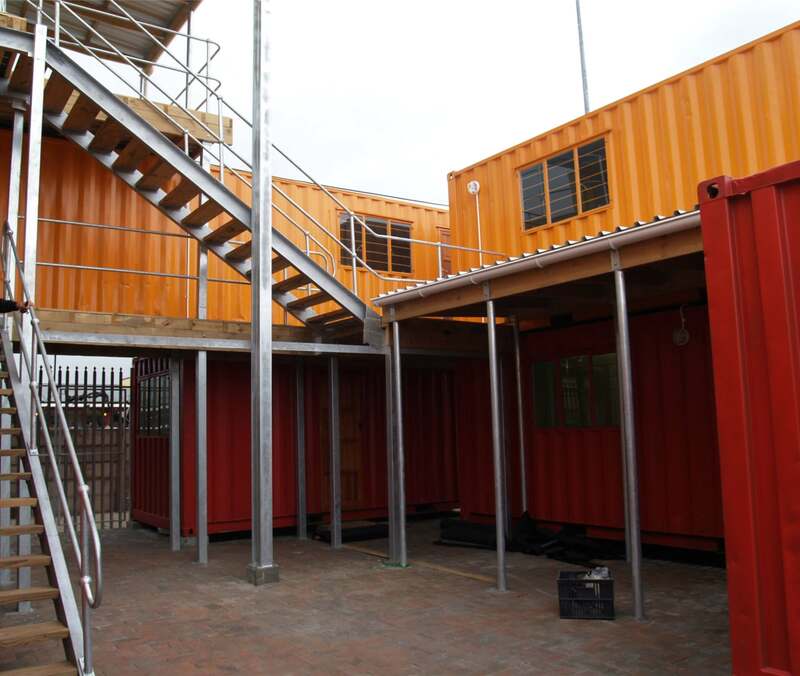 The containers were converted off site and the steel work on site. This included the roof. 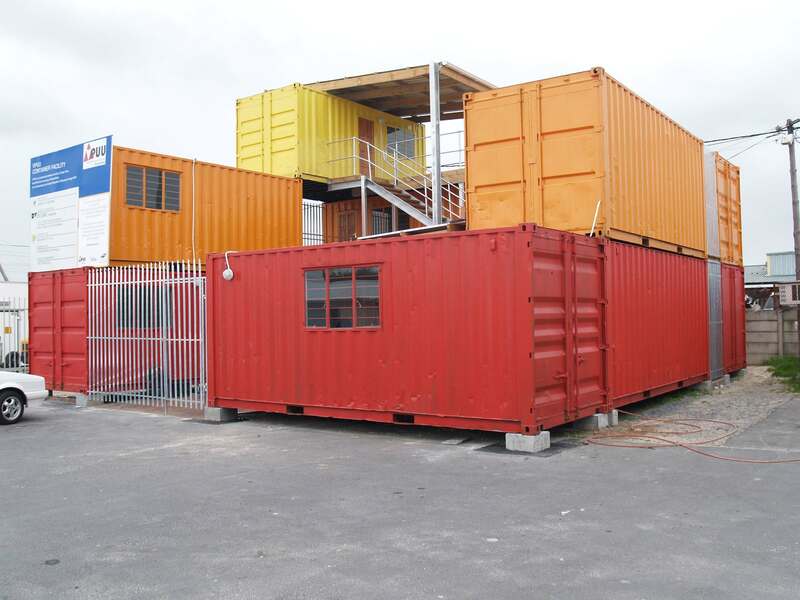 The containers were painted in bright colours and the overall the design made for a very attractive structure.